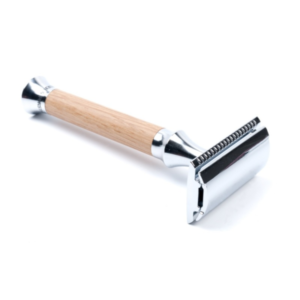 This opulent piece by the master craftsmen at Muhle has a sincerely classical design. 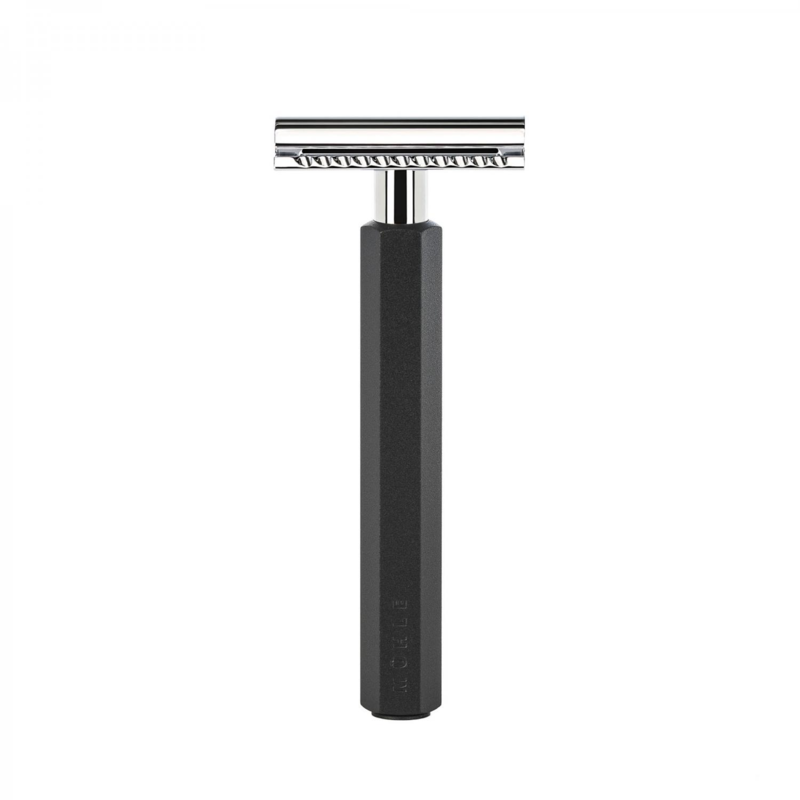 The distinct handle is a deep shade shade of black and has been lovingly polished several times in order to achieve it’s beautiful glossy finish which perfectly juxtaposes luminous silver wear of the rest of the razor. It is also lined with brass for a sturdy extra weight- you can feel the quality simply by picking up this product. 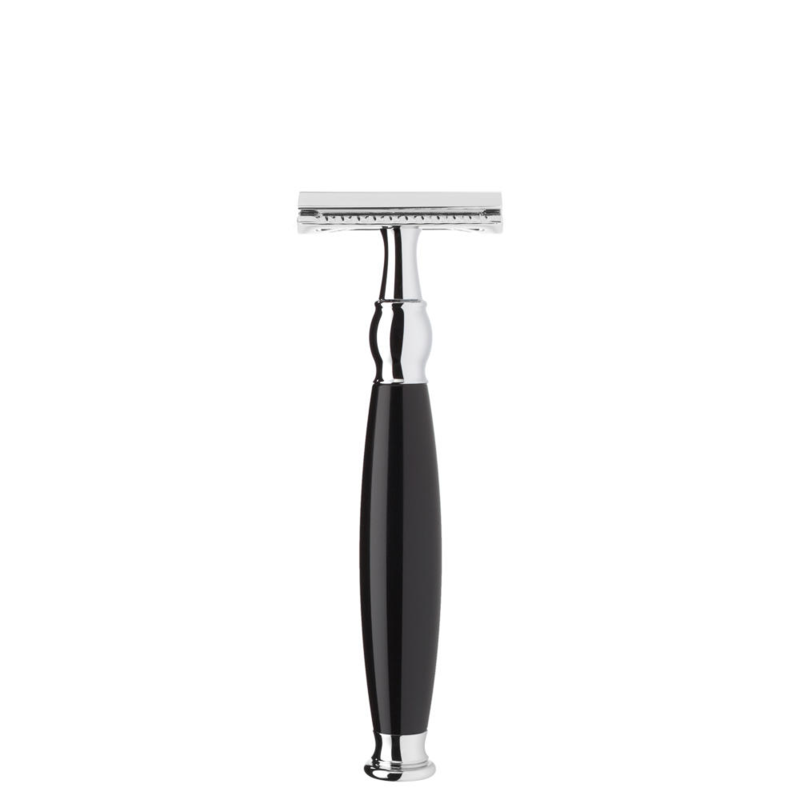 This razor will glide effortlessly across the skin, with the absence of the pulling and tugging you may experience with lower end razors. It’s also important to note that the metal components of this product are a distinct category plated chrome, visually amiable as well as giving a significantly reduced risk of rusting. 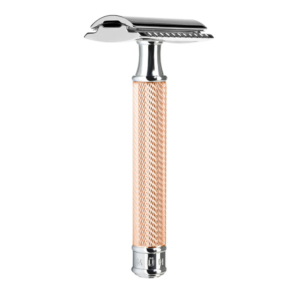 Edwards luxury Traditional Shaving Emporium is the only place you can expect this level of bespoke quality- This particular razor is a larger 125mm, in line with some clients’ personal preferences.